These 3 drone videos over New York City are just WOW. They really prove how beautiful New York city is. These professional drone videos take you all over New York City showing off some the top Big Apple landmarks along with magnificent aerial views. The 1st aerial NYC view takes you right into the heart of Manhattan and Central Park with some terrific night filming over Times Square. The 2nd aerial video takes you around the 5 Boroughs. The 3rd drone video is just WOW. It is of Central Park with beautiful Autumn colors and magnificent Skyscrapers in the background. I have a short bonus aerial NYC video of the very relaxing and historic High Line. It’s a terrific place to visit for all the family. There is so much to see in NYC. It has world famous attractions such as the Statue Of Liberty, Ellis Island, Empire State Building, Metropolitan Art Museum, Times Square, Washington Park, Central Park, Botanical Gardens and many more terrific places. Enjoy these 3 beautiful aerial NYC videos. Times Square at night is just magnificent. It’s a great feeling to be standing in the heart of Manhattan with the lights billboards and sound of the Big Apple. This drone video captures the feeling of New York at night. The drone flight takes you over Central Park during the day. Central Park, a place to relax and have some fun. 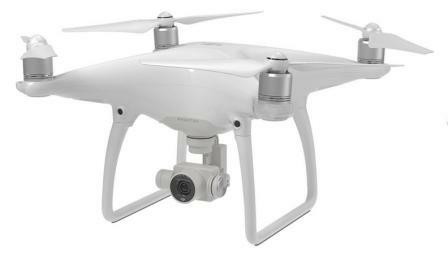 This aerial video over NYC is professionally filmed using a DJI Phantom and GoPro Hero 3 camera. Great footage of NYC. 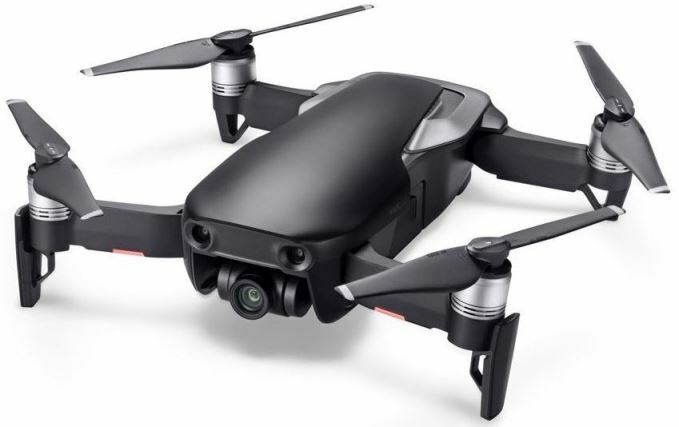 The latest drones from DJI are the Mavic 2 Pro, the Mavic 2 Zoom and the Phantom 4 Pro. These drones have many intelligent flight modes and collision avoidance sensors to allow you to concentrate on filming while the drone flies autonomously. If you are a new to drones and photography, then these 15 aerial photography tips are great to know. These tips cover lens filters, filming in RAW format, the thirds grid, UAV forecast, auto exposure bracketing, counterpoints, juxtaposition, lighting, leading lines, creating depth in photos and much more. Some of the tips are easy to implement while others will take some practice. This beautiful drone video of New York City takes you around the famous 5 boroughs (The Bronx, Manhattan, Brooklyn, Queens, and Staten Island) along with historical state buildings, the bridges, buildings and parks. Great drone piloting and professional aerial filming. The Photographer Victor Chu spent the six months on this ambitious project filming in all five boroughs of New York City with his aerial drone and camera. You can really see Victor’s passion for both New York and flying and filming with his drone. With some aerial photography tips, practice and a quality drone you could also produce beautiful drone films like these. Central Park is beautiful the whole year round. But seeing the colors of the Fall with the magnificent skyscrapers in the background is just WOW. You could spend a week on vacation just visiting Central Park. They say New York City never sleeps. New York has a lot to offer including many parks and gardens where anyone can relax and take a snooze. Central Park has several lakes and ponds, two ice-skating rinks, Central Park Zoo, Belvedere Castle and the famous Strawberry Fields. There are also lots of grassy areas, which are terrific for picnics with quite a few playgrounds. Many events and concerts take place every year in Central Park. It’s a great place to celebrate special occasions because of its beauty. Here are some more terrific spots to visit in Central Park. You have the Lake Reservoir, Shakespeare Gardens, Gapstow Bridge, Bow Bridge, the Carousel, Dairy Visitor Center and Gift Shop, Obelisk, Bethesda Terrace and Fountain, Chess & Checkers House, Central Park Zoo, the Great Lawn and so much more. Most tourists try to visit New York City in a weekend. It is impossible. This aerial NYC video is just beautiful. Stop the video at the best spots and admire New York City in the Fall. 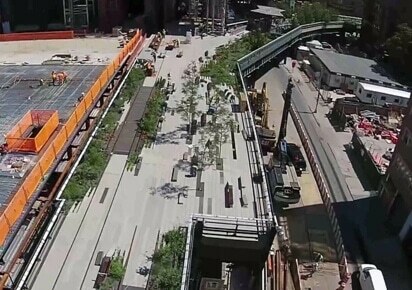 This drone video takes a terrific aerial view of the historic High Line. The High Line is an elevated freight rail line transformed into a free, public park on Manhattan’s West Side. It runs from Gansevoort Street in the Meatpacking District to West 34th Street, between 10th and 12th Avenues. The High Line is open to the public where anyone can stroll; sit and chat; enjoy the plants and shrubs; the views and relax in the sunshine. There are many guided tours during the warmer months of the year and visitors are always welcome. Founded in 2009, High Line Art presents a wide array of artwork including side-specific commissions, exhibitions, performances, video programs, and a series of billboard interventions. Now, a little bit on the history of New York’s High Line. Trains began chugging through the West Side of Manhattan more than a decade before the start of the Civil War. The trains traveled at grade level alongside pedestrians and horse-drawn wagons on crowded city streets. So many accidents happened that 10th Avenue became known as “Death Avenue.” This led to men on horses — the West Side Cowboys — to ride in front of the trains waving red warning flags. The High Line is a terrific spot. Great for all the family and so relaxing. This aerial NYC video gives you a little glimpse of the High Line. The best way to enjoy the High Line is by being there. Bring all the family including the dog.